Nissan recommends regular tire rotation to promote even tread wear and to prolong your tire life. Tire rotation helps to extend the life of your tires but there are other steps that you can take to extend the life of your tires. 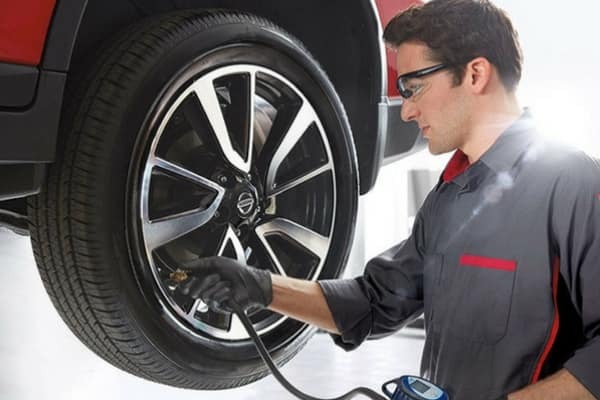 Factory trained Nissan certified technicians to know that the proper tire pressure is one of the most important factors contributing to long tire life. Tires will naturally lose pressure over time and will require monthly monitoring if you don’t have a Tire Pressure Monitoring System in your vehicle. Drivers can find the tire and loading information on the driver’s door panel that outlines the tire location, size, and pressure specifications. One of the best ways to extend your tire life and save in tire replacement costs is to make sure each tire has the proper inflation outlined on the tire and loading information sticker. Don’t make the mistake of using the capacity PSI posted on the tire itself. This number is not the manufacturer’s tire inflation specification, it is the maximum capacity for the tire and not the recommended tire pressure. Use the number on the door because this is the pressure that Nissan engineers recommend. 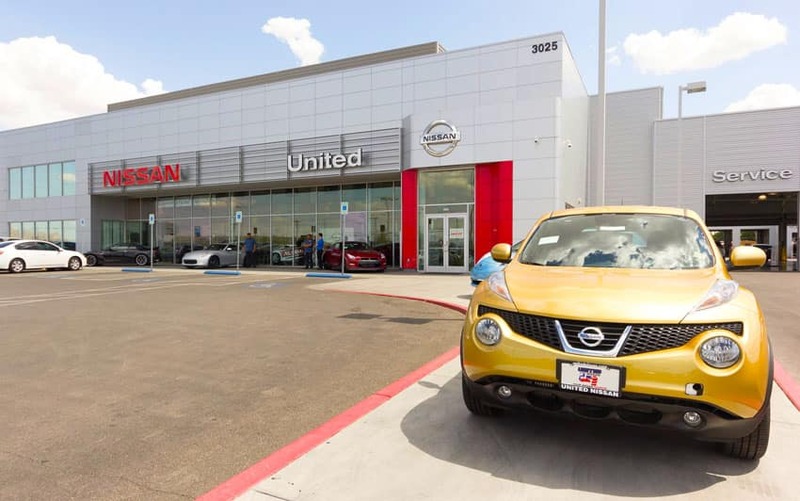 United Nissan of Las Vegas has a team of factory trained Nissan certified technicians with vast experience servicing all-things tires. From Tire Rotation and Proper Inflation Inspection, United Nissan of Las Vegas has the expert technicians that can get the job done right. If you need any kind of service related to your tires and proper inflation, contact us to get exactly what you need at an affordable price.